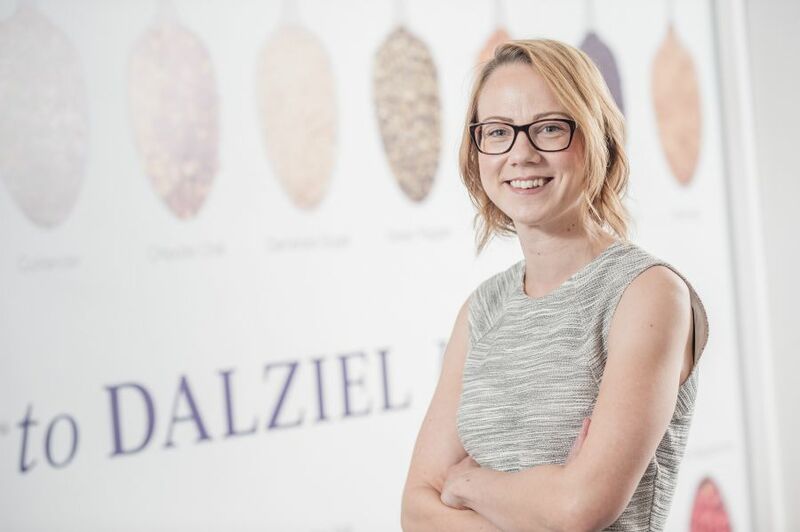 Interview with Dalziel Ingredients NPD Manager, Fran Hutton. Dalziel Ingredients NPD Manager, Fran Hutton answers a few questions. Describe your current role and explain the most satisfying aspects of your job role? I manage the NPD team of 10. We are responsible for developing products and sending out samples for our customers to approve. The most satisfying part of my job is when the whole team pulls together to meet tight deadlines. Working for a privately owned family company seeing the growth and change first hand. It is rewarding to see products the NPD team develop being manufactured and ultimately on the supermarket shelves. Can you give an example of innovation being critical to success in your job role? We continually have to keep ahead of the game in the food ingredients industry to ensure our products are the very best they can be. Knowing the market inside out and keeping up to date with all current trends and manufacturing processes helps us to achieve this. How are you building the NPD team? The team has grown from a team of 2 to a team of 11 in the thirteen years since I joined Dalziel. We have a strong, enthusiast team with various skills, that set us apart from other seasoning houses. Within the department we now have chefs, process developers and a dedicated ingredient technologist as well as technologists and graduates. What are the most important lessons you’ve learned through work? Patience! I am definitely a lot more relaxed nowadays and have ultimate faith in my team to make the right decisions. Are there things you wish you had done differently in your work life? No. This is my first job after graduating but the fast pace and ever changing nature of the food industry mean no two days are the same. How do you spend your away-from-work time? Running, sewing and spending time with my young family. What are your hopes and dreams for Dalziel Ingredients? I hope that my team enjoy their jobs as much as I do and we all strive to develop, learn and continually improve.